As I watched and waited for Theresa May to come on and deliver her Big Speech last night, and as 8.00 pm became 8.15pm, and then 8.25 pm, and even the TV presenters began to talk about the mystery of the Prime Minister’s non-appearance, I found the old Beatles’ song “She came in through the bathroom window” b,ouncing around in my head. Was it possible that behind the front door of No 10, Theresa was in the bathroom getting noisily sick, before positioning a chair and going out through the bathroom window, never to be seen again? But no – no such luck. Here she comes, with that characteristic stiff-legged walk. This was it. This would tell us what was going on and better still, what was going to happen. Alas. 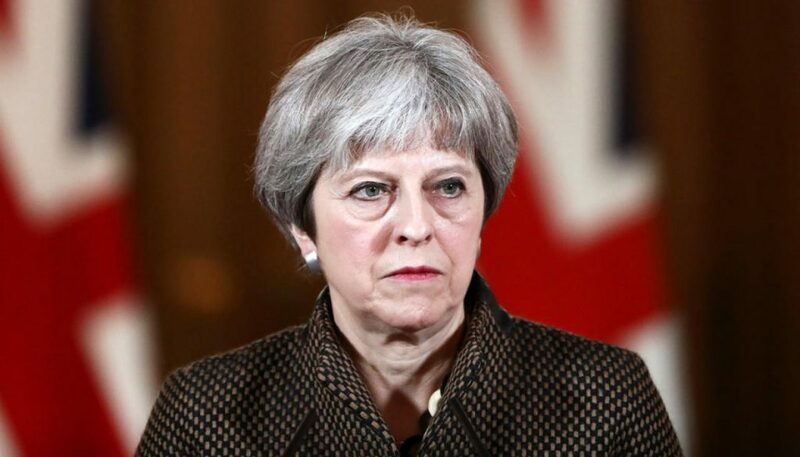 Theresa tried to pull the old, childish trick of telling the British people “It was them did it, not me.” What’s more, she assured the British people that she was on their side, which must have sent the blood-pressure of several million Brexiteers crashing through the ceiling. Had she a plan? Well, she’d, um, she’d be bringing this deal of hers back next week and if the House of Commons voted for a no-deal Brexit instead of her deal, that was hardly her fault, was it? That’s not how the aptly-named Dominic Grieve, the former Attorney-General saw it. “I could have wept!” he said with more than a little feeling. And while protesting that he was actually a good friend of Theresa’s, she was, he figured, a bloody waste of space as a leader of the Conservative Party. So where are we now? On very thin ice. Very, very thin ice. This day next week we could be hauled out of the EU against our express wishes. The millions of English people who voted Remain think they were hard done by. The millions of Scottish people who voted Remain will know they were hard done by. And we here in our twisted, sad and shaky north-east corner will definitely feel hard done by. Several commentators last night compared the Brexit crisis to the scene facing Britain after the Second World War. For us here in this part of Ireland, who have been landed in this ghastly place thanks in no small measure to the efforts of the DUP, we’re facing the biggest crisis since the last shot of the Troubles was fired. Interesting times. Absurd times. Terrifying times. Thanks, Theresa. Thanks, Nigel.